Hayward offers a line of the industry’s best automation to suit any backyard environment. Adding automation takes the work out of pool and spa ownership by automating all work-intensive functions, such as sanitization, balancing pH, cleaning and filtration. Perhaps best of all, automation can save you money - by automating essential pool and spa functions, you can save up to 70% on your pool’s energy costs. 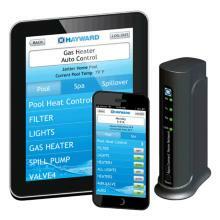 Hayward OmniHub smart pool and spa control offers the easiest way to add total control to pools and spas – anytime! Compatible with Hayward pool products and most pool equipment brands, users have the ability to access, schedule, and manage the entire pool pad, all through their smartphone or voice controlled devices. OmniHub installs quick and easily to control virtually every piece of pool and spa equipment including: Variable-speed or single speed pumps, heaters, pool/spa lighting, spa settings, Hayward AquaRite salt chlorination systems, booster pumps, cleaners, backyard lighting, and water features. 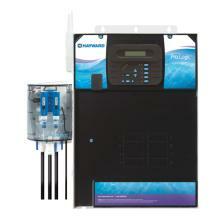 Easiest and most affordable way to add smart pool control to nearly any pool. Seamless Integration: Compatible with Hayward pool products and most pool equipment brands for entire pool and spa pad control. Convenient Control: Access, manage, and schedule from anywhere via iOS and Android smartphones and voice controlled devices, including Amazon Alexa. 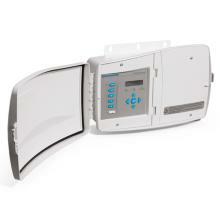 Smart Home Expansion: Works with popular home automation systems including Amazon®, Nest®, Control4®, and Crestron®. 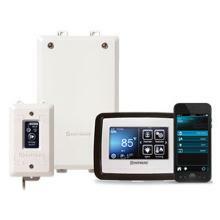 OmniHub includes: wiring base unit, control pad, and 1 Smart Relay for control of equipment including variable-speed pumps, heaters, pool/spa lighting, spa equipment, and salt chlorinators. Flexible & scalable: Ability to add up to 2 additional Smart Relays for even more control including booster pumps, cleaner, backyard lighting, and water features. 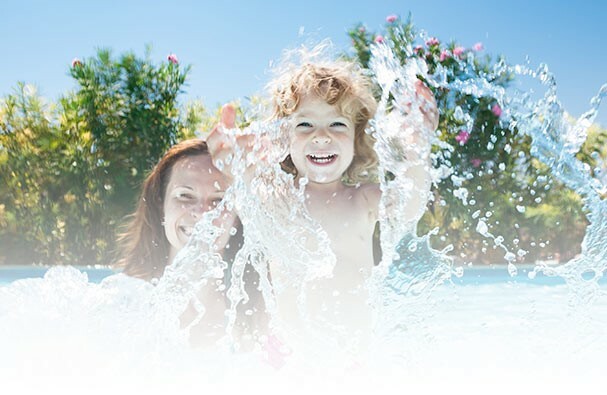 Luxurious pool water in the palm of the hand: OmniHub is a simple upgrade to Hayward’s AquaRite salt chlorination systems, for both new and existing system installations. Introducing OmniLogic-the simplest, most intuitive backyard automation system ever. Eliminate Complexity.With the ability to easily install preconfigured programming, and an icon-based touchscreen directly on the base unit, OmniLogic can save you hours of complicated set-up time. Easily Scale-up and Expand.Easily expand all capacities and seamlessly add features- from heaters to pumps to lighting. Stay Cutting Edge. OmniLogic was designed and engineered to advance with automation technology. Our innovative system architecture allows you to easily propagate new capabilities, provide patches, and install and restore configurations quickly and effortlessly. Simply order and stock parts. Modular configuration provides flexibility and ease of ordering. No other system makes it as simple for builders to order and stock parts that support any configuration. Modern, intuitive apps for iPhone, iPad and Android provide the look and feel of leading-edge consumer electronics. Adjustable Favorites buttons and backyard theme functions allow your customer to not only customize, but personalize their backyard. The performance, look and feel of an elite application is just as important as the technology behind it. OmniLogic combines the best in connectivity, versatility and energy-efficient functionality with an intuitive interface that makes the whole system simple to install, program, and use. When you choose OmniLogic, you choose the best. All the control necessary for the perfect pool experience. Accommodates salt chlorination, advance LED light shows, chemical automation as well as wired and wireless remotes to customize your backyard oasis. Accommodates salt chlorination, advanced LED lights, chemical automation as well as wired and wireless remotes to customize your backyard oasis. Group functions enable single push button control of multiple functions. OnCommand is the simplest and most cost-effective aftermarket controller available. 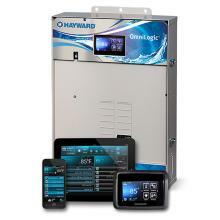 Hayward AquaConnect® Remote Pool Management platform provides four ways to manage every essential pool and spa function from filtration schedules to chemical automation to pool lights and more. AquaConnect App for iPhone, iPad, and Android offers pool owners the most convenient access from anywhere at any time with streamlined platform navigation. AquaConnectWeb.com, is Hayward's premium remote pool and spa manage web site. Pool owners can monitor and react to more than 100 parameters and settings from anywhere in the world. AquaConnect Home Network bridges the pool automation system to your home network and allows pool owners to manage their pools using any wireless device on their property. AquaConnect Home Automation provides a serial option for seamless integration with select home automation systems, so that one keypad or display panel can handle their pool, home theater equipment, security, lighting and more*. 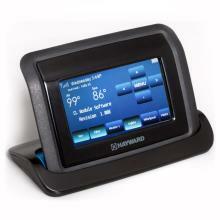 *The AquaConnect serial adapter is compatible with platforms manufactured by Crestron, AMX, Savant, or Vantage. Only available for ProLogic®. Thanks to its over-molded sealed design and fully rechargeable battery, AquaPod 2.0 isn't just water resistant, it's completely waterproof and totally programmable. When teamed with our ProLogic or OnCommand pool and spa automation and controls, it offers control over everything from Chemistry Automation to Universal ColorLogic custom light shows. No matter where you are — in the house, by the pool or in the water. AquaPod 2.0 floats horizontally and its large 4.3" touch screen display makes finding it and viewing pool and spa functions easy - even at night. **Must be used with a Wireless Antenna which installs directly onto the side of the ProLogic or OnCommand main control unit at the equipment pad and communicates with all other wireless accessories. Only one wireless base required per system.